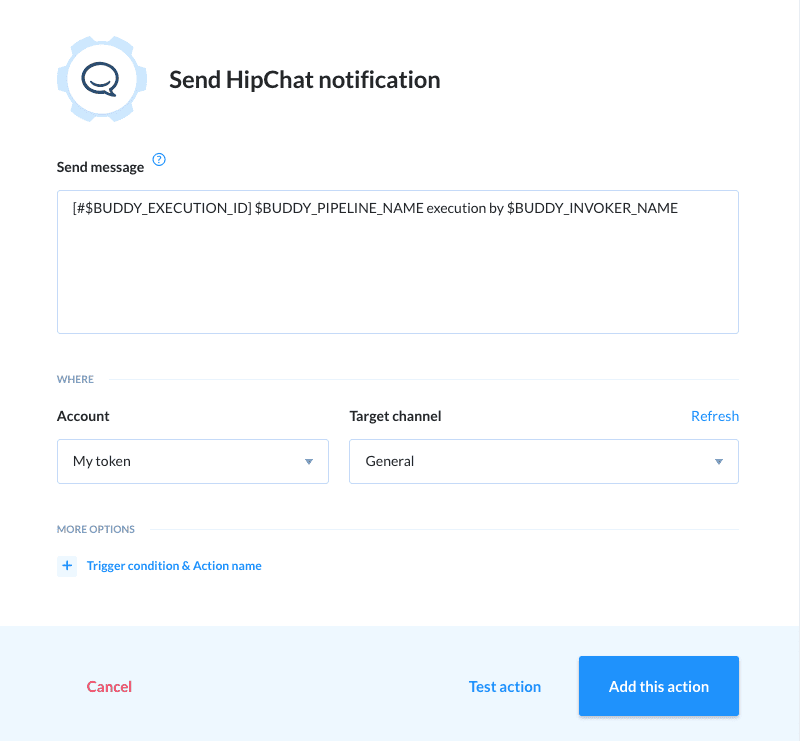 In response to popular demand from Atlassian developers, HipChat notifications are now available in Buddy! The new integration lets you send customized messages about finished deployments from your Bitbucket repository. Configuration is very simple and only requires adding a token to your HipChat profile. If you are interested in tightening Buddy’s integration with the Atlassian suite, you can leave your votes and suggestions in the dedicated thread on our forum.